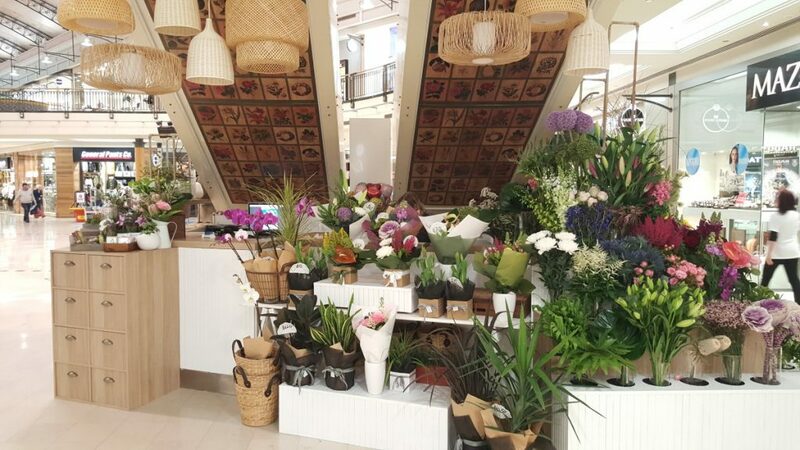 So, after 8 months of providing beautiful fresh flowers as a florist in Karrinyup Shopping Centre our kiosk has now expanded. After working hard with a very talented design and building team we came up with an amazing new look for Code Bloom Karrinyup. 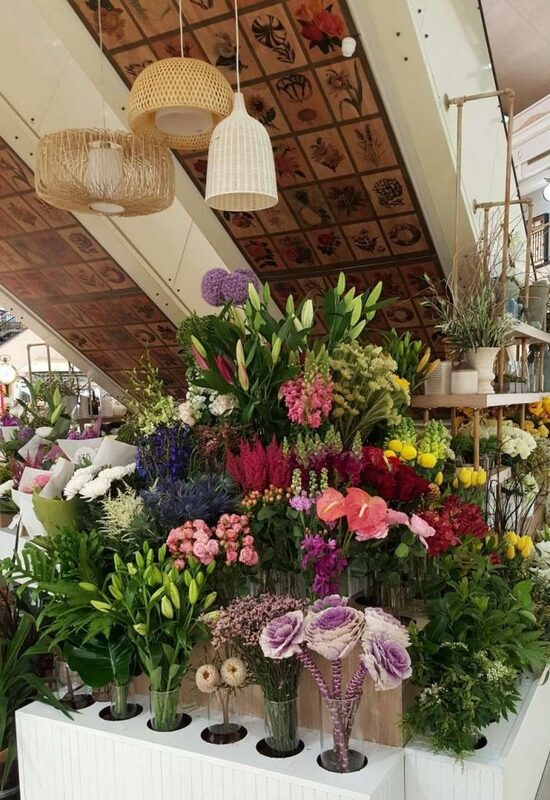 We’ve had fabulous comments from customers about how much more open and warm the kiosk looks, the unique design of the new flower table and in particular customers are loving the new lighting and feature panelling under the escalators. 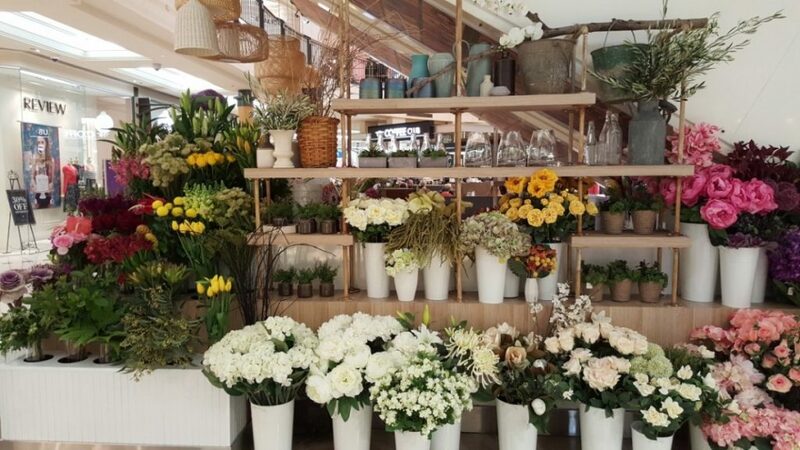 We love our customers at Karrinyup and so many have often commented that they wished we stocked products from our much loved Mt Hawthorn gift store, not just flowers and plants – and the good news is that now we do! Below is a summary of just some of the items we now stock, and remember we can offer free gift wrapping to boot and the present can even be delivered to the recipient of a particular day. Urban Rituelle’s Dreamweaver range of soy candles, diffusers, body lotion, hand creams and eau de parfum – fragrances are the ever popular Coconut & Lotus and Island Blossom featuring frangipani. The Dreamweaver range is a stunning collection perfect for the home or as a gift for a loved one. The ever popular Louenhide is now available, including handbags, clutches and wallets. This season’s Louenhide stock is some of the best we have seen and sure to fly off the shelves. Arlington Milne and Elms & King are also in stock. This trendy range of bags and wallets come in some gorgeous colours and textures. We’ve chosen to stock Fabienne Jewellery, comprising of a selection of earmints and neckmints, These have always been the best sellers at our Mt Hawthorn shop so why not stick with something when it is so popular. A collection of vases of differing shapes, colours and prices will be available and constantly updated. These are vases sourced from Milly and Eugene, General Eclectic, Albi and Nicholas Agency. It’s always lovely to add a little baby toy when sending fresh flowers for the birth of a baby. We stock some of the cutest super soft knitted toys and rattles from Lily & George in blue and pink colours, and many other neutral colours. As always if there are any products that you would like to see us stock please let us know or have a chat to our florist and we will see what we can do!